This gift book for young girls is the perfect next step in the Tyndale princess line. As young girls grow and leave behind some of the fully illustrated picture books, they still want to feel special, and they still need to know they are loved as Gods daughters. This is the book to share with them. This devotional book is full of Scriptures about Gods love, protection, and promises. The books 100 devotions tie in the Scriptures to help young girls apply them to their lives. This diary-style book will attract the growing girl while still making her feel like a princess, a special child of God. Promises for God's Princesses by Katrina Cassel was published by Tyndale in October 2014 and is our 17473rd best seller. The ISBN for Promises for God's Princesses is 9781414396606. 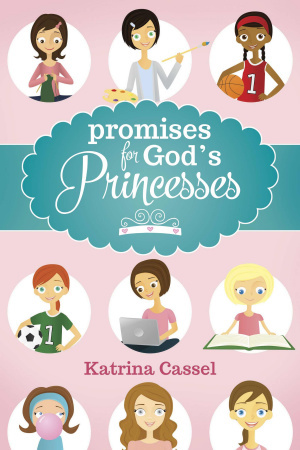 Be the first to review Promises for God's Princesses! Got a question? No problem! Just click here to ask us about Promises for God's Princesses.